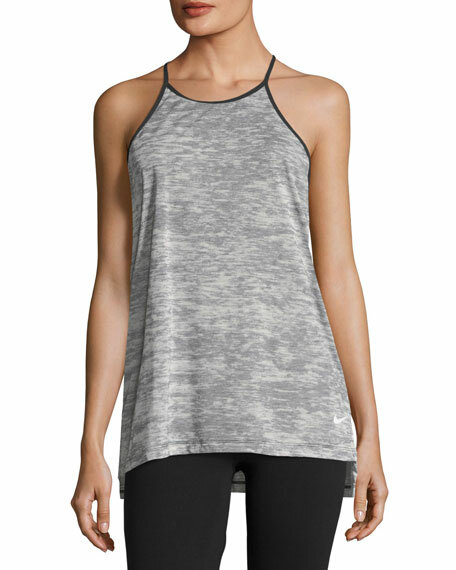 Nike "Breathe" performance tank in lightweight, heathered fabric. Dri-FIT Technology for a dry and comfortable fit. T-back design and wide armholes for ultimate range of motion. Dropped hem for added coverage. For in-store inquiries, use sku #2346380.